Thanks to TMZ, Kylie Jenner and what appears to be a baby bump have finally been spotted in the wild for the first time since September. 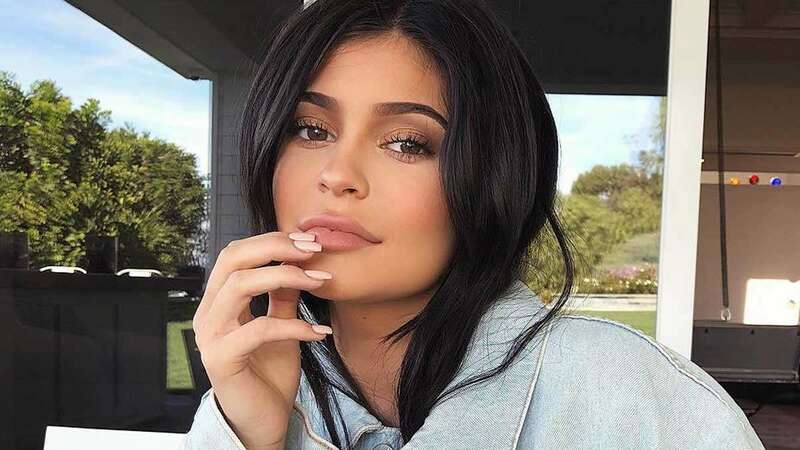 Kylie, who is reportedly pregnant with her first child—a girl—with boyfriend Travis Scott, surfaced on a walk with BFF Jordyn Woods at a construction site in Hidden Hills on Wednesday, January 24, 2018. And the best part: super grandmomager Kris Jenner was also there! What do you think Kris, who looked lovely in red athleisure wear, is pointing at? A new house, perhaps? The size of the camera lens the paparazzo was using? Or maybe the size of the quilt Kylie and her sisters posed with in that new Calvin Klein ad? TMZ also has a video of Kylie getting into an SUV parked at the construction site, with Kris and more people watching nearby. There sure is a lot of lumber on site, but my question is: Why isn't anyone wearing a hard hat? Besides the obvious precious cargo to protect (Kylie's bump), isn't anyone concerned about Kris' hair? Kylie, who stepped out in an oversized black sweater and matching sweatpants is reportedly due in February 2018.